Balmoral left her winter berth in Bristol on the afternoon of Tuesday 22nd June to begin her 2010 season, but due to an over-run in the refurbishment of the newly designed observation lounge/shop area she had to put into Avonmouth until the following afternoon. It was from here that she set sail for Garlieston under the command of Capt. Ian Clark and achieved her fastest-ever light passage to Scotland in very favourable sea conditions. It was touch-and-go whether she would be in time for her first sailing- but she made it, leaving only a few minutes late for the Isle of Man. All four Irish Sea sailings were achieved in excellent weather conditions, though passenger numbers from Whitehaven were down on previous years (probably due to the Maritime Festival being held there and the World Cup!). An unscheduled call at Port St. Mary was made on the Saturday to pick up passengers who had travelled down on the steam railway (as a point of interest, a special train was chartered on the Friday and Sunday to tie in with the sailing schedule). Some 500 passengers were embarked at Douglas on the Sunday for a cruise around the Isle of Man, but unfortunately on reaching the south of the island sea conditions were such that a circumnavigation was not possible- instead the motor vessel headed north towards the Point of Ayre in sunshine and more comfortable conditions. After an overnight berth in Whitehaven, the ship set sail in the early afternoon of Monday 28th June for North Wales- her fourth country in as many days. Torrential rain and thunder greeted her as she lay at anchor in Red Wharf Bay but the following day dawned bright and sunny as the Menai Pilot was embarked and she proceeded to Menai Bridge to pick up well over 500 passengers- passing through the Straits to call at Caernarfon. 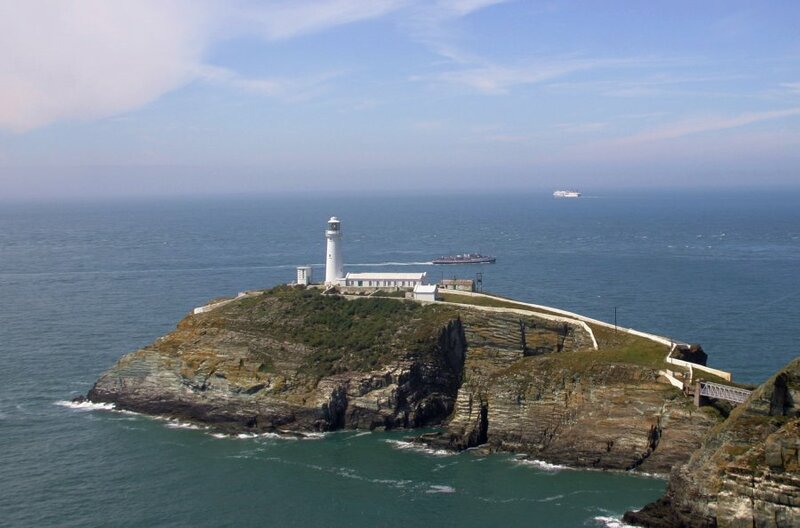 Over 600 happy passengers cruised around Anglesey in ideal conditions and upon her return the ship set sail almost immediately for Swansea and the start of the first of her two Bristol Channel seasons.